We're Back — CBOE Resubmits Bitcoin ETF Proposal With U.S SEC - Coinfomania Coinfomania: Where blockchain and cryptos live. 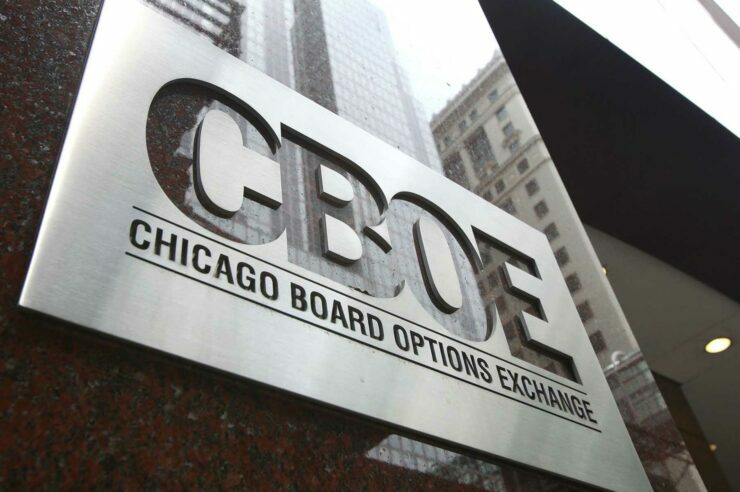 Barely a week after the Chicago Board and Options Exchange (CBOE) withdrew its application with the U.S SEC for a rule change to list a Bitcoin ETF, the major exchange has resubmitted the proposal. The resubmission is apparently possible because of the reopening of U.S Government earlier this week. When CBOE withdrew its Bitcoin ETF proposal on January 23, Jan van Eck, the chief executive of VanEck investments acknowledged that the reason behind the decision was the Government shutdown. The U.S SEC had earlier announced a February 27, deadline for announcing a decision about the proposed rule change. However, it seemed likely that the regulators would not make a fair decision because of the limited number of days remaining till the deadline. Before then, the U.S SEC had already adjourned the deadline on three different occasions. Crypto enthusiasts will now hope that the SEC begins proceedings in line with CBOE’s latest application. Meanwhile, the SEC also has another Bitcoin ETF application on its desk – a proposed rule change request submitted earlier this month by crypto startup Bitwise Asset Management. A Bitcoin Exchange Traded Fund (Bitcoin ETF) is an investment tool that tracks the price of Bitcoin and is traded on a stock exchange. It allows investors to own and trade Bitcoin without ever holding it or storing it in their crypto wallets. They can invest in Bitcoin in the same way they invest in traditional stocks.